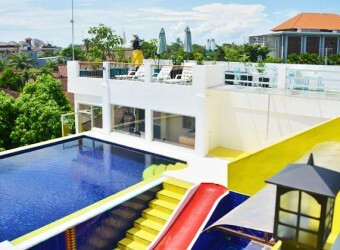 Hotel Bali Yuris Apartment located in Jimbaran. This reasonable and at home apartment is one of the popular hotel in Jimbaran area. There is kind of room types that you can choose your favorite one. The room include furniture and appliance so you can stay like your home. They also have gym and swimming pool that you can use free.